Over 20 million Chrome Users Have Fake Ad Blockers Installed; Are You One Of Those? Over 20 million Chrome Users Have Fake Ad Blockers Installed; Are You One Of Those? Over 20 million Chrome Users Have Fake Ad Blockers Installed; Are You One Of Those? Millions of Internet users use Ad blockers to improve web experience by blocking ads on Internet. Ad blockers help in blocking irritating ads and getting redirected to scammy website. 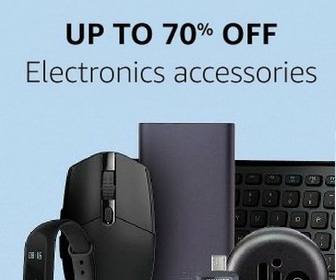 But not all users are using the right Ad Blocker. 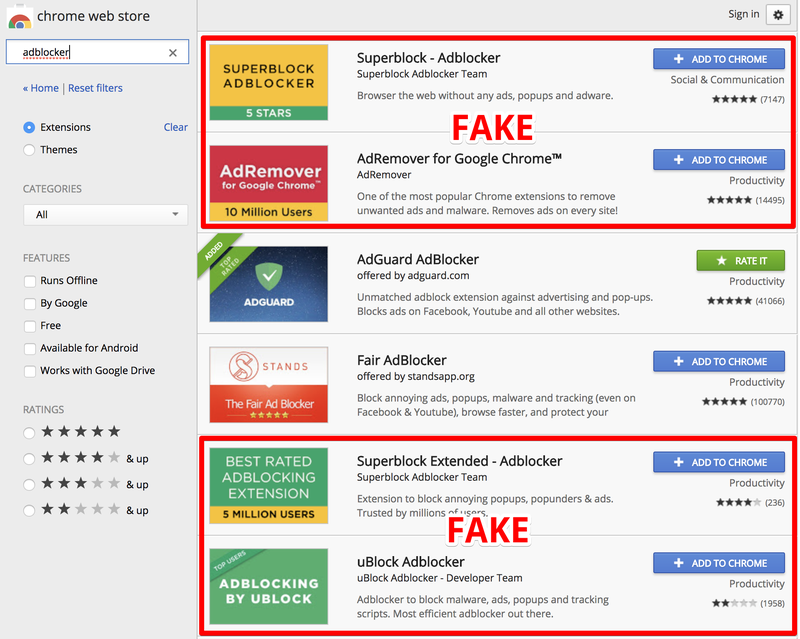 As per the reports by Adguard software, Google Chrome has tons of fake extensions claims to be ad blocker but they are not actually. The report also confirm that over 20 million people are using fake Ad Blocker extensions that are affecting their privacy. Adguard researchers claim that these fake extensions are being used to steal personal data of Chrome users and sending it to command and control center. These extensions are logging every request many by browser and sending it to the attacker. Here are the few fake Chrome extensions identified by Adguard. Ad guard has already informed Google about these malicious Adblockers present on Chrome web store. When I last checked, these ad blockers were still there. If you are one of those using any of these ad blockers, you must remove it from your browser right now. We at Techlomedia try to publish interesting content that matters for you. But we cannot do this without earning anything. So, we server ads without affecting user experience. So, We request you to whitelist our domain if you are using an ad blocker.